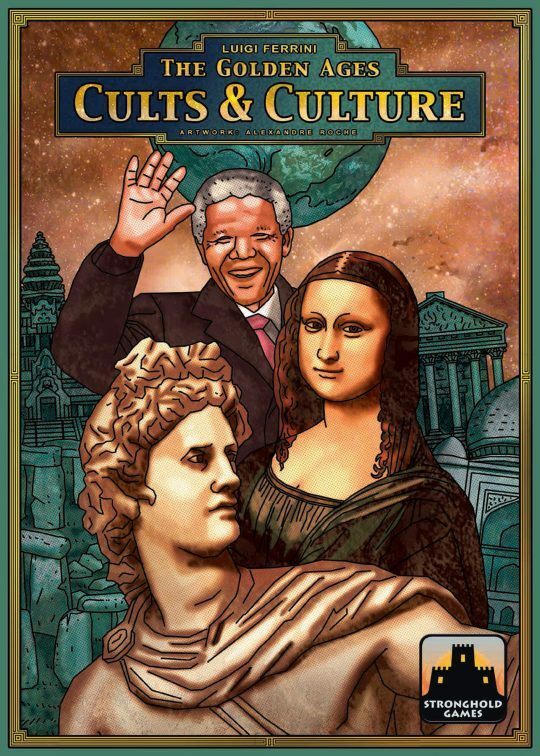 The Golden Ages: Cults & Culture, an expansion for The Golden Ages, adds the ability to play with a fifth player, while also including new Civilizations, new Wonders, new Future Technology cards, and a new deck of Culture cards. Players may now progress their civilizations thanks to amazing inventions, or they may spread their own religious beliefs. The challenge to reach for The Golden Ages is more exciting than ever!